There’s no denying that 2016 was a thrilling year for AFL Toyota Premiership fans, including thousands of sports betting enthusiasts Down Under. 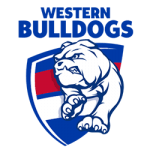 Supporters of the Western Bulldogs had massive grins on their faces in October, after the Melbourne scrappers broke a 62-year drought to take the title for the first time. The Bulldogs scored an emphatic 22-point win in the MCG final against the Sydney Swans, the capper on a glorious season that saw them top the ladder in their first two games, and then stay in the Top 8 for every round thereafter. 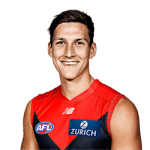 So the Dogs are riding high, but there are plenty of other strong teams that will be challenging hard for the AFL 2017 Toyota Premiership title when it kicks off on March 23. 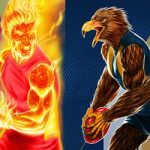 Round One of the AFL 2017 Toyota Premiership runs from Thursday, March 23 to Sunday, March 26, and will see all 18 teams in the Premiership competing in nine games. This is the norm for most of the competition: Thursday to Sunday packed with footie action from all the teams, with byes only occurring from Rounds 11 to 13, and again in the pre-finals round. As for predicting a winner to give punters an early advantage, you’ll need to find a braver man than this sports writer. The Bulldogs are training like demons to defend their title, but with 24 rounds of footie ahead before the final, the tournament is still anybody’s. Bookies are currently offering $5.50 on the Dogs, placing them second on the odds table after the Greater Western Sydney Giants at $4.50. Those aren’t the only options, of course. The Sydney Swans, at $7.00, could also reward loyal punters, and the Adelaide Crows are at $9.00, so don’t count them out, either. And depending on how strongly they start the season, the West Coast Eagles and Geelong Cats could see their current odds of $11.00 improve dramatically too. 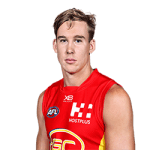 If you want a long-shot punt, you can get $501.00 on the Brisbane Lions, but after a decade or more in decline, it may take a miracle.